First impressions have a huge impact on how people see us. It really is true that you only have thirty seconds to make a first impression, favorable or otherwise! After that most people seek to reinforce their initial impression and although it’s not impossible it can be tricky to change some-one’s opinion of you once it’s formed. I am passionate about supporting you in creating an amazing initial impression. I believe everyone deserves to feel confident in the way they dress and present themselves. I promise you that I will be kind, honest and supportive in working with you to project a fabulous initial impression. Are you looking to get a promotion at work or going for a new job and want to look your best in a smart and professional manner? Do you have a big event like a wedding, anniversary, party or ball and want to look fabulous? Do you have to do a presentation or speech and need to make an impact? Are you on going on a dream holiday and need to pack a wardrobe that is stylish and elegant? Have you recently changed your lifestyle or retired want to adapt your wardrobe so that it is stylish and practical for what you do now? Do you have a wardrobe full of clothes and nothing to wear? Have you lost confidence in yourself and your ability to wear clothes that suit you? 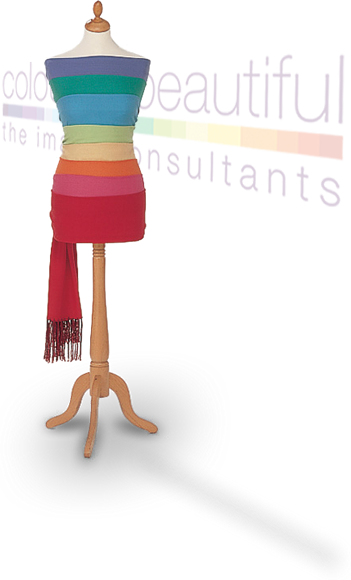 Or do you simply want information and advice about what colours and styles work best for you? Or maybe you would simply like to treat yourself to some time for yourself? If any of the questions above apply to you then I can help you! The information and advice you get will be invaluable to you for the rest of your life. Whatever your motives for viewing my website I hope you enjoy browsing the services on offer and I look forward to meeting you soon. Are you looking to update your current image? Do you want to glow with confidence and discover your best assets? Colour and style consultations are invaluable in helping you to do this. Discovering your best features and how to emphasize them along with a few grooming and make up tips will give that special glow of confidence. Frances provides a number of services that are designed to help you make the most of yourself. By looking at a number of aspects including colouring, body shape, lifestyle, personality and budget, Frances can help you develop the image you want..
A key bonus is that you can save time and money , once you know what colours, fabrics and styles suit you best shopping becomes much easier and much more effective. You may find that you have fewer clothes but are able to wear everything in your wardrobe and have lots of combinations to mix and match and create fabulous outfits.. Consultations can be flexible to meet your specific needs. Consultations will take place on an individual basis in the studio or in small groups of family and friends you will never be put in a group with strangers. Parties, group consultations or presentations can be done in your own home, a village hall or venue of your choice. Colour Me Beautiful images and logo used by permission.